Look good and feel great! 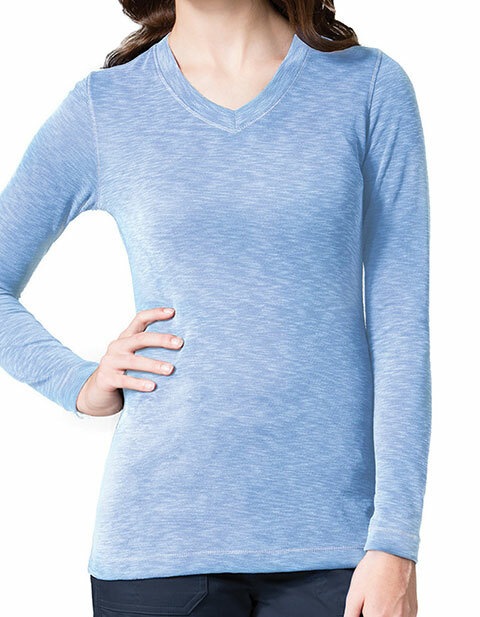 Maevn knit women's long sleeve modal tee is an epitome of durability and comfort. With a curved V-neck and subtle contrast flat lock stitching throughout tee; you are destined to look good at work. Moreover, the tee ensures no pilling even after repeated washes.